An elegant hotel with a refreshing vibe for your stay. Whenever you're visiting Indore for any leisure or business trip, Hotel Mayra Hill Top will be just the right place for your peaceful stay. With the spacious and well-lit rooms, the comfort and convenience of the guests always come first. The simple rooms with wooden furnishings and fine linen work add elegance to this place. The windows open to the green view of the hilltop roads and natural light gushing in the room. 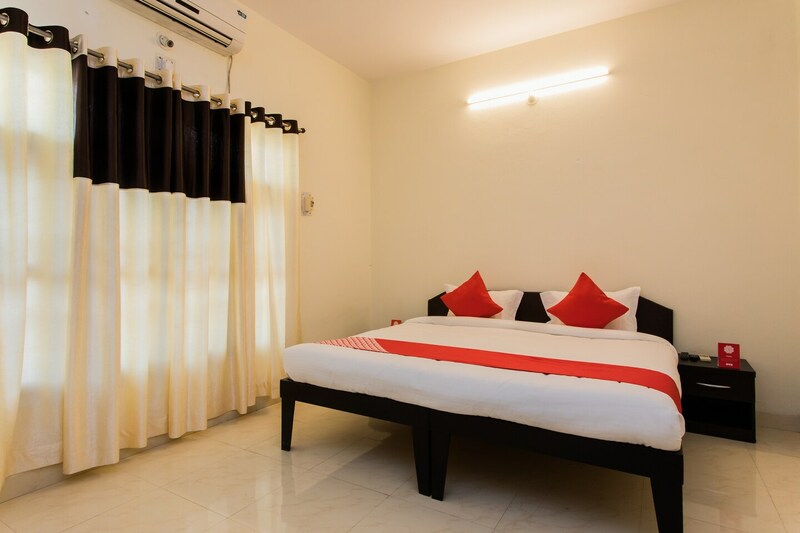 Guests can use the service of free Wi-Fi to stay connected with the internet and get all the latest updates. CCTV cameras are installed at the property to ensure safety of the guests. The travellers can visit famous attractions like Annapurna Temple, Vaishnav Dham Mandir, and Lal Bagh Palace.